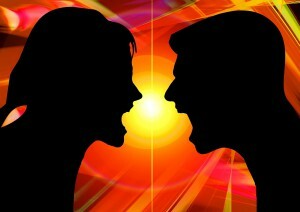 Although confrontation is hard and if done improperly can be harmful, it is sometimes necessary! If you have a situation that is bothering you, the time to confront it is NOT when a situation arises because it is then that emotions are high and it can be handled improperly. BUT if you take the situation to the Lord in prayer and ask Him how and when to confront the situation, you can approach it more calmly and have a higher chance for success. Now, some people, of which I am one, are very passionate and thus it doesn’t matter when I talk about a subject, I will eventually raise my voice. This doesn’t mean I’m mad or out of control because I raise my voice when I am happy and excited too. But the odds are high that I am not mad or angry, even if my voice is raised. This is important to know because there are other people like me. Try as I may, my voice will raise but if the subject is broached after prayer and when emotions are level, the anger won’t enter into the mix, as easily. There are times that the best thing to do is to pray about a situation and work it out with God to get over it but then there are things that can only be cleared through confronting the situation head on. Confrontation is not bad, in and of itself. Confrontation is sometimes necessary to move forward. It is all about HOW and WHEN a situation is confronted. It is not usually a good idea to confront a situation in the HEAT of the MOMENT. Tensions are too high and emotions are too hot to bring about much good. BUT if you can take some time to pray about the situation, you can either find that you are the one with the problem and you just need to act more maturely OR you can find a time to sit down with your sweetheart, bring up the situation, and see if you can’t come up with a solution together. Avoid throwing blame and name-calling, as this will not help the situation. I have learned through the years that it is best to talk about how I feel in situations, e.g. “I feel like I haven’t done my job right if you do a load of laundry” instead of “Why couldn’t you just tell me you needed laundry done?” Not the best example but the first one explains my feelings without belittling him or making him feel that he is wrong whereas the second one, although not as good of an example, throws the blame at him, which will probably make him become defensive and probably cause a big argument because he didn’t want to bother me and it was no big deal to do it for himself. Sometimes this is hard to do, thus another reason not to broach the subject until it as been sufficiently covered in prayer, if at all possible. I hope this rambling post can help you to see that sometimes a confrontation is necessary and that it doesn’t have to be a bad thing. And although you probably will not ever like confrontation, you will no longer try to avoid it at all costs because all that does is push a problem further and further down and will one day cause a huge explosion (confrontation). Earlier this week, I had something up with the teeth on the upper left of my mouth and found a toothpick sized hole in the bottom of one tooth. This caused a problem because it was large enough to get food impacted inside. Yuk!!! Thankfully, Mike was able to get me an appointment within the next day or two. As is generally the case, I had a bigger problem with a broken tooth on the lower right hand side and thus needed to have a root canal done pronto. Thankfully we had everything to make potato soup and Tiffany made it for me while I was on my way home. (Remember that I live about 30 minutes from town.) Oh! I had them put a temporary filling in that upper cavity so more food doesn’t get stuck inside. Unfortunately, like my sisters, I have a high tolerance for pain medication which means I need to take a lot. And also, I have a low tolerance for pain. I’m rather stubborn when it comes to taking meds and hold off as long as possible but then it is hard to find meds strong enough to combat the pain . . . either that or I’m just a whimp and can’t tolerate much pain; I prefer the former. At any rate, I guess the nerve was in a bad place because the dentist had to give me many shots of medication to enable him to do the drilling necessary. It was not a good thing. But we managed and I came home to some yummy homemade potato soup. My baby sister and her girls came over for a visit earlier this week. It was a good visit. 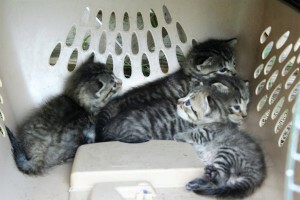 The girls loved seeing our newest kittens; Tiffany even let them name one kitten each. Oh! I fixed that yummy bread for them and they loved it. Well, that sums up the big points of my week. I hope you have a good weekend. 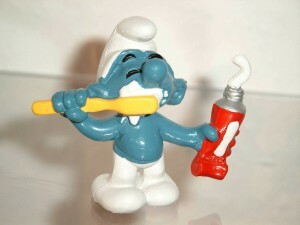 I am writing this post on Wednesday night after having been to the dentist today. I was there a bit longer than I anticipated and have come home a bit more tired than normal. Thus I will simply be sharing a few links with you today. If you have some subject/topic for which you need help finding information, printables, or such, please leave me a comment and I’ll see what I can do to help locate what you need. My nieces like Minecraft, so I thought these printables may be something they would like. There are links for Minecraft story prompts, dot-to-dot, maze, reading log, and more. If you have a Minecraft lover these printables may make some table work more palatable for them. 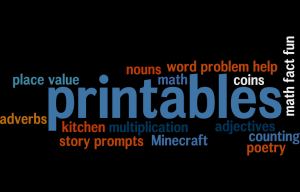 This next link has 8 different printable reference charts for math to language arts. There are different levels available, some suitable for younger students and some for your oldest students. 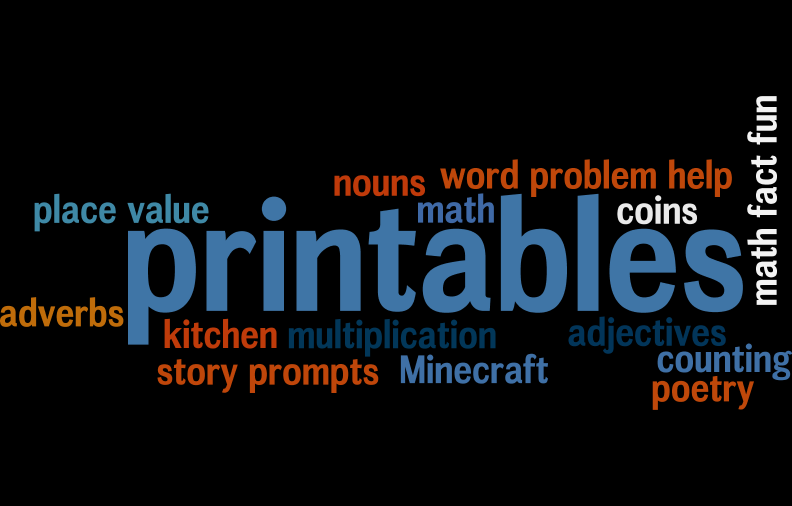 Parts of speech to algebra, multiplication chart to place value, story problem help, and even help in the kitchen. If your children are interested in Poetry or if you want your children to study poetry, here is a link to a free 10-week course. You can always take it slower or faster, whatever works best for your family. Finally here is a link from the same site as the last with 22 fun ways to help children learn their math facts. 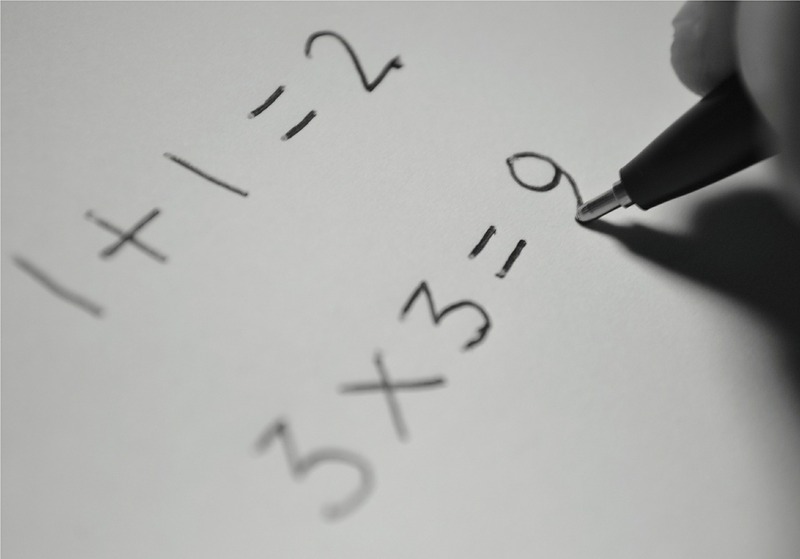 Don’t forget skip counting as a valuable step towards multiplication. I hope these links will help you and your children. This week’s Diva Challenge is brought to use by Holly Atwater. 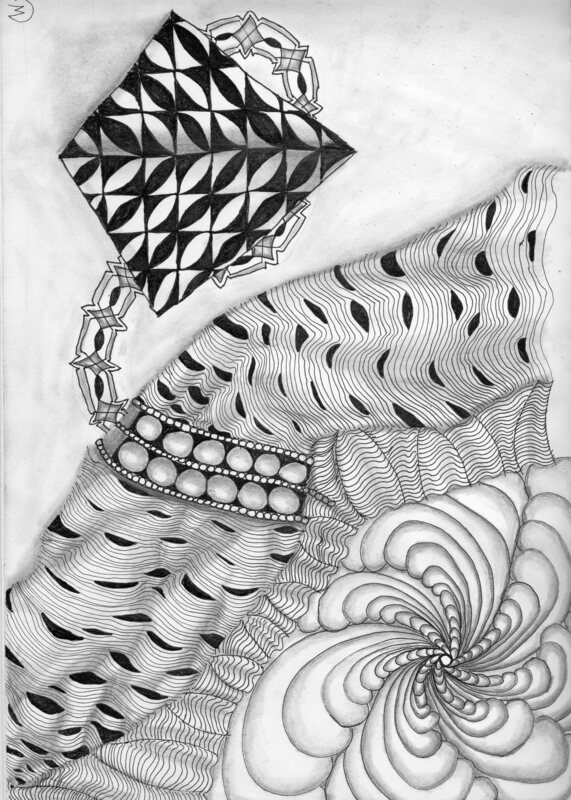 Her challenge is to either use one of her Audio Zentangle Meditations or use Betweed in a piece. Well, since I have already done the audios, I knew I needed to do a tile with Betweed and that would definitely be a challenge as Betweed and I are not very good friends. I started out by procrastinating. Then I looked at Maria’s examples again and re-watched her video. Inspired by Maria’s unusual string in the video, I went a little ‘crazy’ with mine. I like the string but probably should have done betweed in several ‘columns’ like she did in one of her examples. There was an orb on the bottom right corner of the border that just screamed to be filled with one black pearl which I learned how to do when I did Holly’s second audio and was glad to use it there. The upper left corner seemed odd, so I threw in eke. Eke is not a tangle I gravitate to either and I’m not even sure it fits here. I have a hard time ‘weighting’ the lines in betweed as is clearly evidenced by this large view. So from this angle, the finished tile kind of resembles a spinning top but when I rotate it 90° it kind of, somewhat resembles a kite with eke as the tail. I don’t know . . . but I did rise to the challenge. It dawned on me when I read a few comments that Exodus had several undulating tangles in it. (Sometimes I can be a little slow. haha) I only picked those tangles because they began with the appropriate letters and followed the theme I was looking for. I rarely use tangles like that. For those who have nearly given up on showgirl, this video on youtube is what really helped me. I viewed it several times. Attempted to draw it. And viewed it again and practiced while pausing the video. 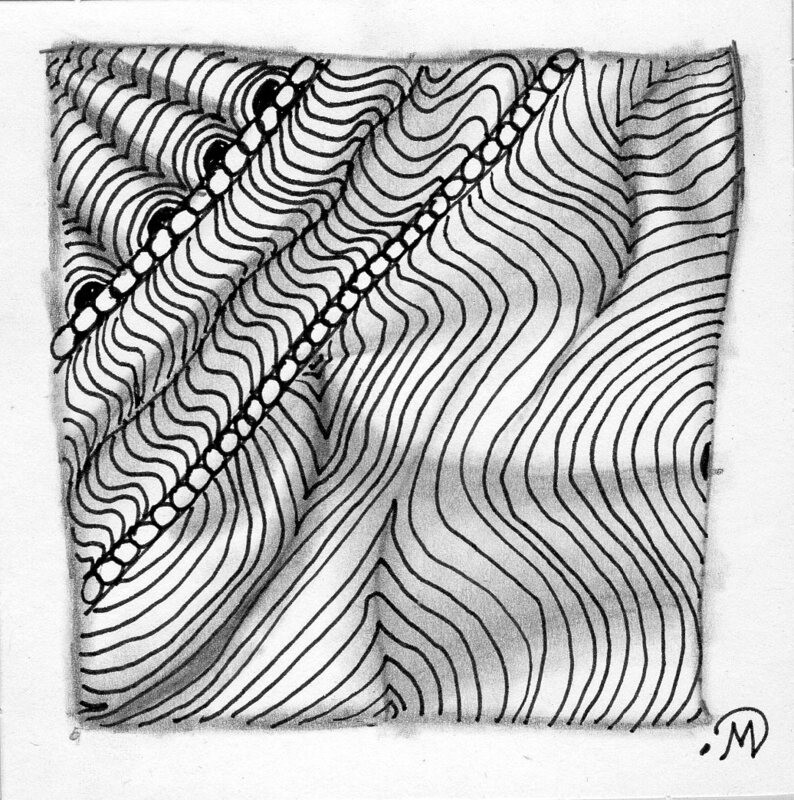 As with so many other tangles, the shading really makes a huge difference on this one. Well, that’s all for today! This is one recipe that I was skeptical of even trying because I didn’t care for cooked cabbage. I got this about a dozen or more years ago. It was part of a weekly menu and grocery list, so to give the whole menu thing a decent go, we tried it. I was pleasantly surprised. 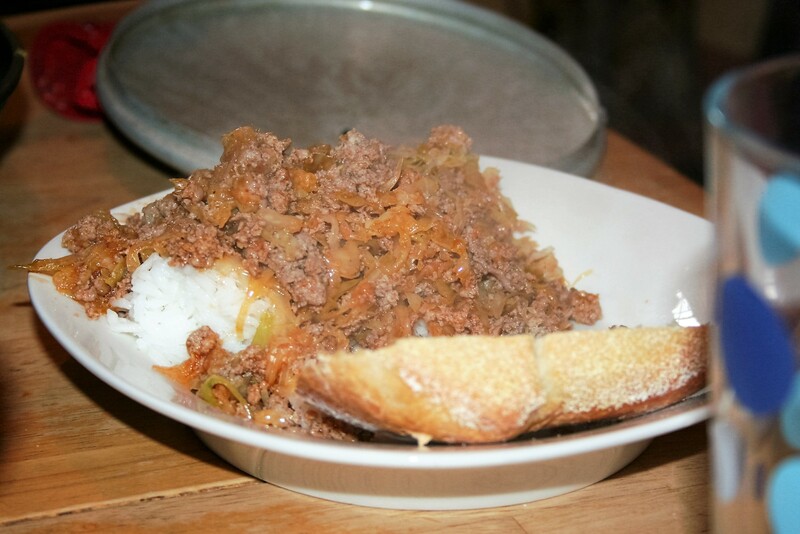 I actually think I like it better than I would actual cabbage rolls because you can modify how much cabbage you use. So let’s get to it. 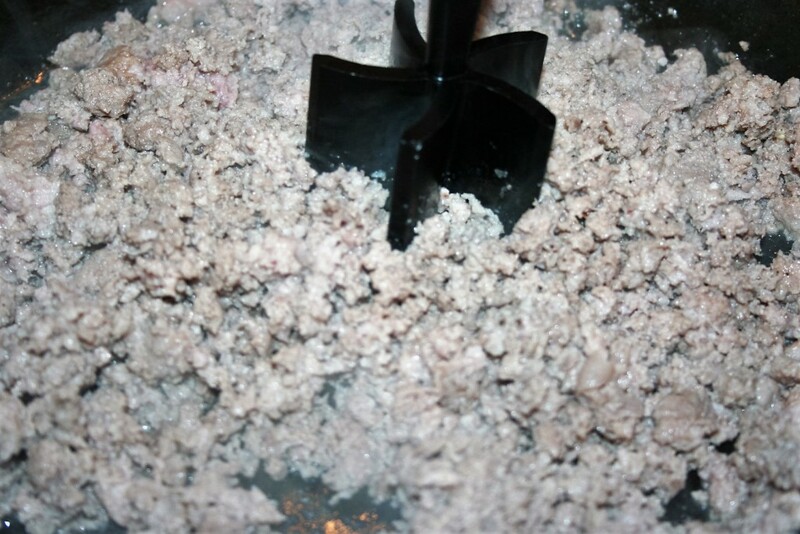 Brown one and a half pounds of ground meat (I use ground turkey) with either onion and garlic or onion powder and garlic powder, salt and pepper. 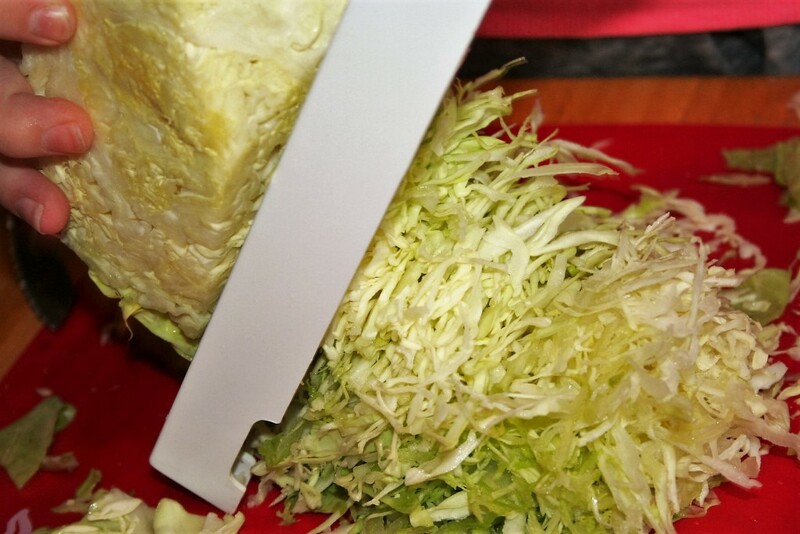 Meanwhile, slice or chop half a head of cabbage. I slice it on my mandolin. 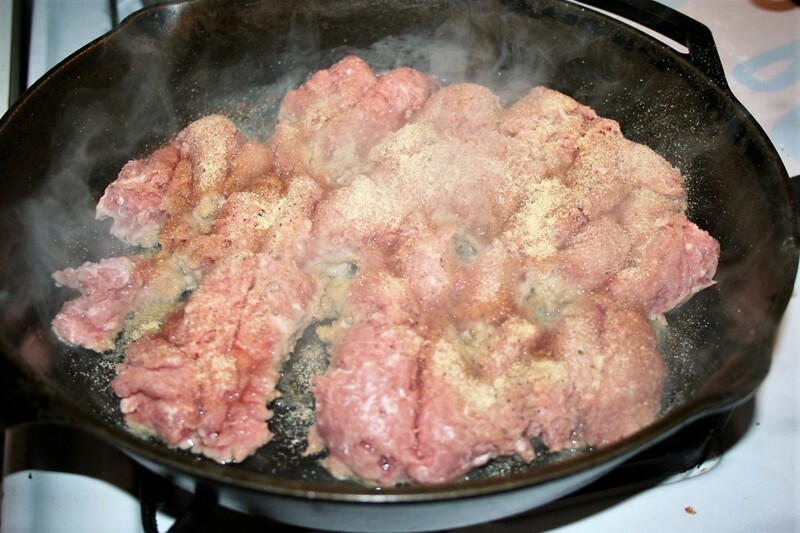 Break up the browned meat. Drain, if you have fatty meat. The turkey I use, although by the numbers it should be rather fatty, most of the moisture evaporates and I have no need to drain it. That handy gadget is one I got from Pampered Chef and I really like it for breaking up the meat. 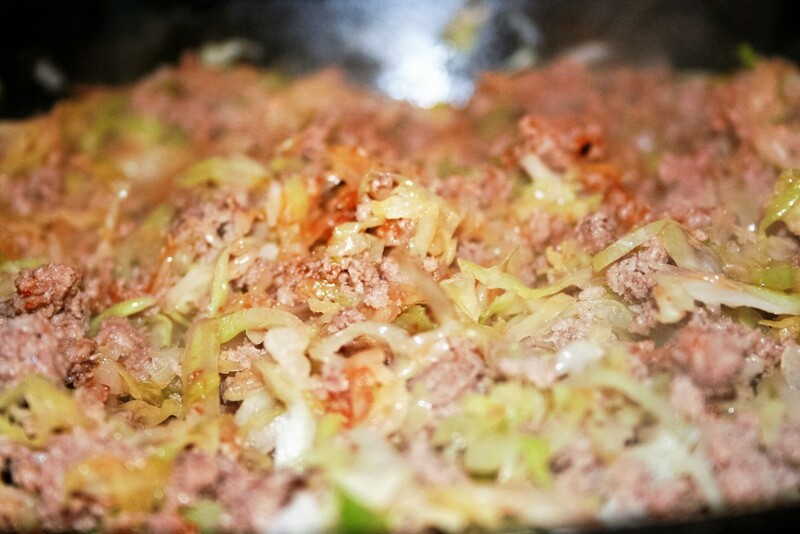 Add the cabbage, bit by bit. If you try to add it all in at once, you will most likely, have a big mess on your hands. But if you add it bit by bit, it wilts and there is plenty of room for it all. Serve over rice, like we did this night, or with baked potatoes. If you prefer to have a low carb meal, you could serve it with cauliflower or spaghetti squash. This night I served it with rice and that wonderful homemade artisan bread that I mentioned last Friday. I’ll be whipping up a batch of this awesome bread again today and will take pictures to share in the next couple of weeks. The original recipe suggested serving with a dollop of sour cream on top. 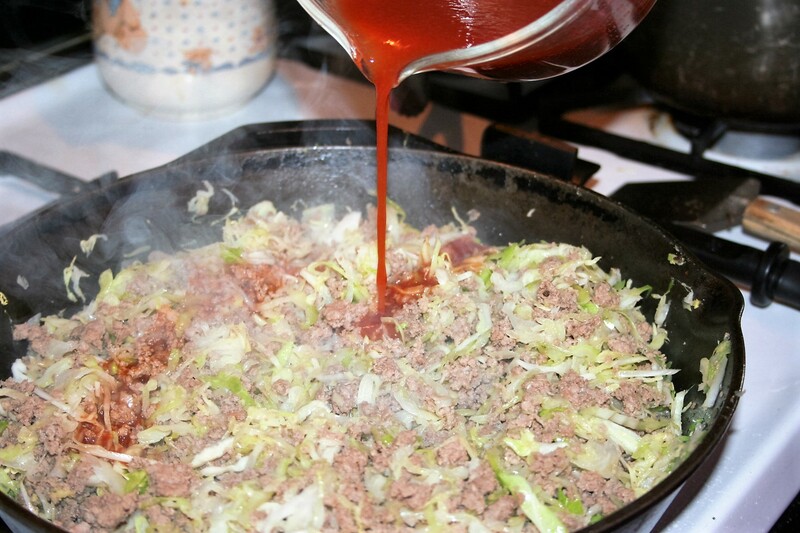 In a large skillet, start browning the meat, adding the onion and garlic or onion powder and garlic powder, salt and pepper. 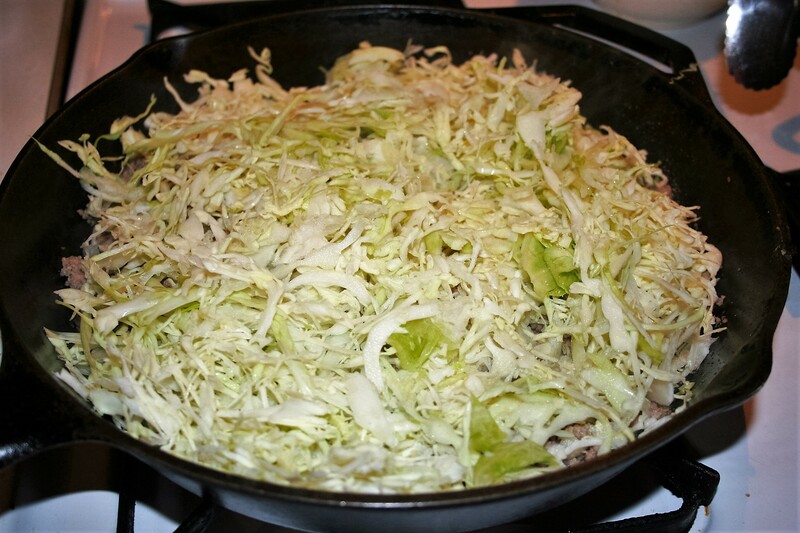 Add the cabbage bit by bit, as it wilts, add more. In this marriage walk, I have found how important it is to realize when I am wrong or when I have acted in an unkind or unloving way. It seems I am frequently given opportunities to have something to share with you from my experiences. Yesterday I had a situation arise where I said something that Mike took negatively. It was clear that I offended him. This was NOT what I had intended at all! My purpose behind asking him what I did was because I had just seen something online and thought about making him a special lunch today. Unfortunately, wherever his mind was at the time, the way I approached the subject upset him. Now I will admit that I continued the conversation a little longer than what I should have but I did quickly realize it within a few minutes or less that things were not going anywhere good. I also knew that the situation arose from what I had said. So, the logical thing to do was to apologize, which I did right away. Now, I will also admit that it probably wasn’t done in the best way but I did say I was sorry. And then I did the hard thing and just shut my mouth. A while later, Mike found it within himself to apologize for his part in the situation. I openly accepted his apology and forgave him. Shortly thereafter, the atmosphere was back to normal. Without being quick to apologize this situation could have escalated to a really bad fight! There is great power in seeking forgiveness and it is a great blessing to a marriage. 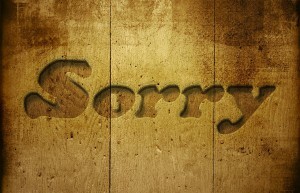 Consider what power a proper apology and acceptance with forgiveness can do in your own marriage. This week Sandy brought the kittens to my overgrown flower bed in front of the house. Tiffany turned the pet carrier we have outside upside down so that witht he pending rain, it doesn’t get inside and it will keep the kittens dry. She put them inside it and they seemed to like it. Sandy seemed good with it too until it rained the other day and she moved them elsewhere. She has since brought them back to the front of the house, so we will see. Tiffany said they hissed at her at first but are not avoiding her, which is a great thing. Brian and Lauren came for dinner this week. I fixed spaghetti and homemade bread. In the past, when I have made bread, I used my bread machine. 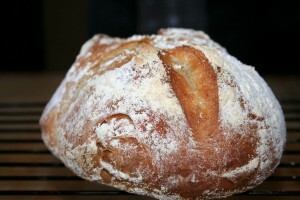 This time I decided to try the Aritisan Bread in 5 Minutes recipe. I have known about this recipe for several years but was put off by the ‘bucket’ needed for the dough and the ‘cloaking’ done instead of kneading. Then there was the fact that it used a pizza stone and peel, which I do happen to have from the days when I heard that baking pizza on a stone was sooooo much better than in a pan (it didn’t turn out that way for me so I put the stone and peel away). What changed my mind? Well, I saw an old post on MakeAndTakes shared on Facebook about using that recipe and how easy it was. 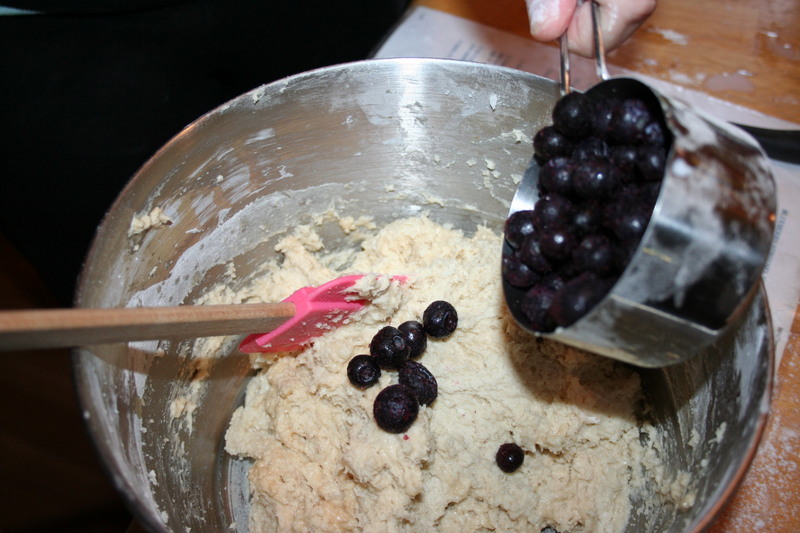 Also she shared that she used all the dough made on the day she made it, so no big ‘bucket’ was needed to store it in the refrigerator. I have a large bowl and decided to use it with plastic wrap instead of worrying about a bucket with a lid. 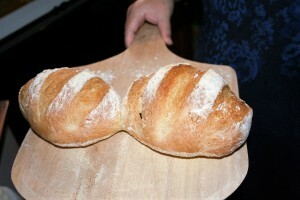 I actually thought the bread would be larger, so it was a good thing I made two loaves for the six of us. OMG!!! 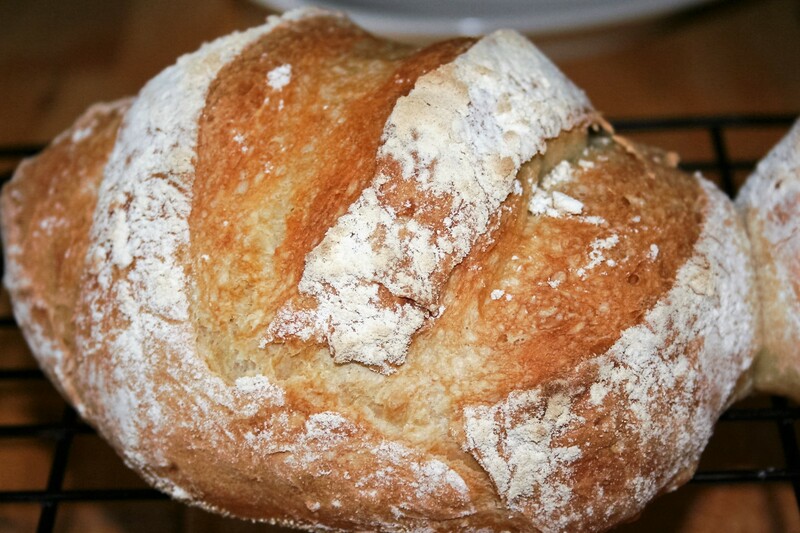 This bread is delicious! I have made it two more times since then. I doubt that I’m baking it quite as long as I should because it is a bit moister than what I’ve read it should be but Oh Soooo Yummy!!! According to what I have read, the crust should stay crisp or harden back up after time. When I pull it out of the oven, it is good and crisp and then as it cools, which is necessary according to the directions, it gets softer crusted. We like it soft crusted but it makes me think that I’m not baking it quite long enough. It doesn’t matter to me because this bread is delicious!!! On another note, I learned a long time ago to keep my expectations very low when anticipating a movie or anything, really. When people tell you how good something is you tend to have high expectations, which then can be a set up for being let down by the thing you anticipated. I had medium-high expectations for the new Mission Impossible movie and was slightly let down although it was still a really good, pretty clean movie. OH! 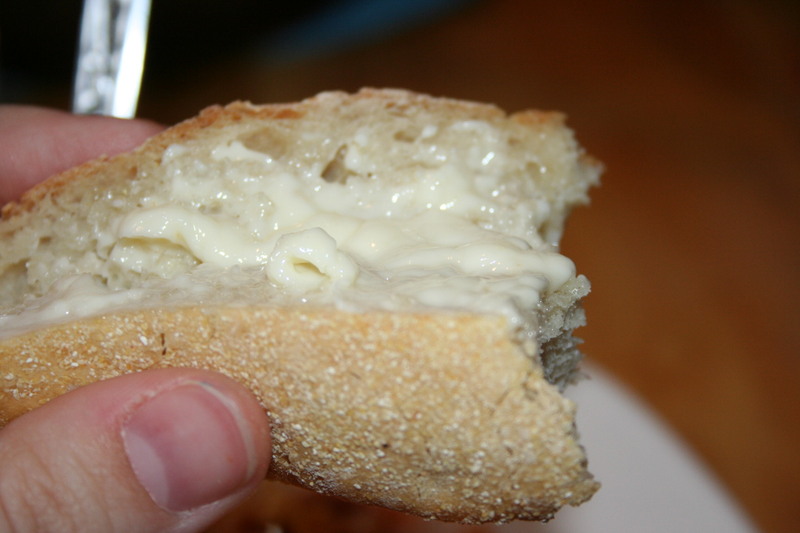 on that same note, keep your expectations low for the bread, so that you can really enjoy it. I had low expectations for it and as you can tell, I was pleasantly surprised. With that, I’ll go for now. I hope you have a wonderful weekend! 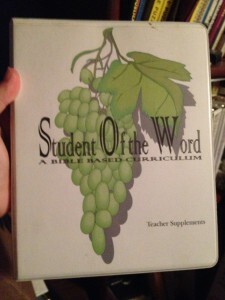 During our children’s highschool years, The Student of the Word was their core. Their other areas of study came from the children’s interests. Tiffany’s studies were centered around her desire to be a wife, homeschool mom, and writer. She also had interests in gardening, chickens, and goats. She spent time researching her other interests online and via the library. Pinterest, wikipedia, and google searches were all helpful in this pursuit. I wish I’d have followed their interests more when they were younger but it all worked out well. When children are younger, it is good to expose them to a variety of things to see if it will spark an interest. Read a variety of books and allow them plenty of time to play. Also expose them to nature, art, music, and outdoors. Don’t be afraid to allow your children to become an expert at what interests them. Y’all are sooo encouraging . . . thank you Christine, Annemarie, Maggibee, Ulrike B, Lily, Suzanne, Donna, LonettA, Karen Lynn, Sarah, and Antonine for taking the time to leave me comments last week. Thanks also to the two people that clicked the heart icon. I really enjoyed doing the zendala and intend to do more in the future, thanks Annemarie. Suzanne, thanks for the tip on using the 4B pencil for a lighter string line when tracing; I’ll remember that for next time. Karen, I thought the 3.5″ tile might be a bit small feeling for this but knew that if I were going to share it on either Facebook group I’m a part of it would have to stay on the official tile size. I wonder if I could print on watercolor paper. Hmmm, good thoughts for the future. Unfortunately I was unable to share my zendala tile with the facebook group I mentioned last week because I traced the string. I understand though. If they let me share mine with the traced string then it opens the door to others sharing tiles with all kinds of traced strings, which isn’t what that group is about and is the very reason I asked before posting. Back in March, I joined a challenge to tangle the books of the Bible. I did Genesis and started on Exodus. I picked the tangles and settled on Showgirl for the last one. I practiced it in my drawing book a few times and couldn’t seem to get it to look right. I was afraid I’d ruin the ZIA so it sat until I practiced it some more or settled on a different final tangle. Well last week I finally worked on Showgirl a bit more and finally managed to make it look decent, so I put pen to paper once again and bravely drew the tangle in the allotted space. Then all that was left was the shading. Here it is, at long last. 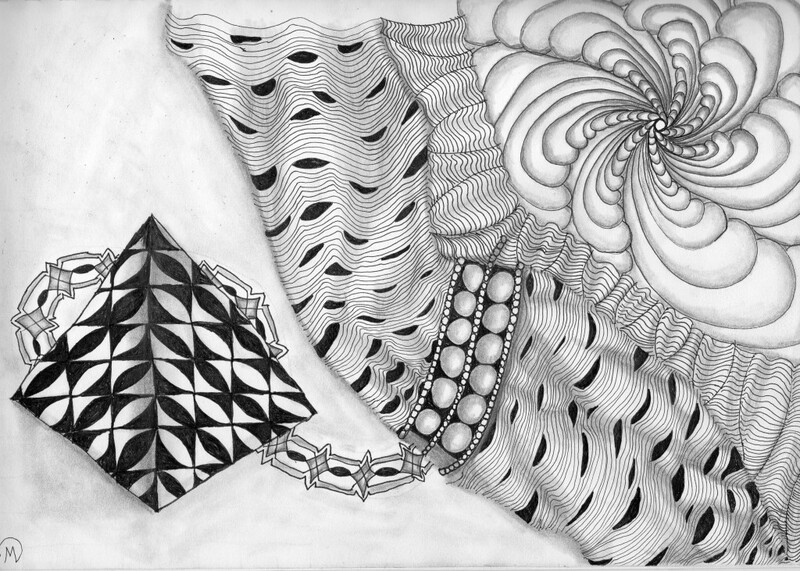 I used official Zentangle tangles Eye-wa, Xyp, Ornamato, Diva Dance (Waltz, I think), Susie Achter’s Undling, and Vicki Bassett’s Showgirl. When I drew in Showgirl today I forgot to leave some space at the top of the page so that when I scanned it I wouldn’t lose anything. So now Diva Dance and Undling aren’t quite up far enough on the page. 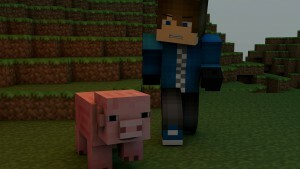 :\ Oh well! I really like how Showgirl looks, so the other just won’t look finished because I am afraid to touch the other parts now. I’ll just be happy with it the way it is. The book of Exodus is about the twelve tribes of Israel (the Jews) being released as slaves in Egypt, crossing the Red Sea, coming out the other side and God giving them the laws and we find out in another book that they wandered in the wilderness for forty years. So now I’ll start on planning Leviticus. Hopefully it won’t take me five months to get it drawn. This week’s Diva Challenge is brought by Sharla Hicks, since Laura Harms is still on her summer hiatus. I struggled a bit with figuring out what exactly what I was supposed to do for the challenge. I checked out those who already linked up their submissions to see how they interpreted the challenge. 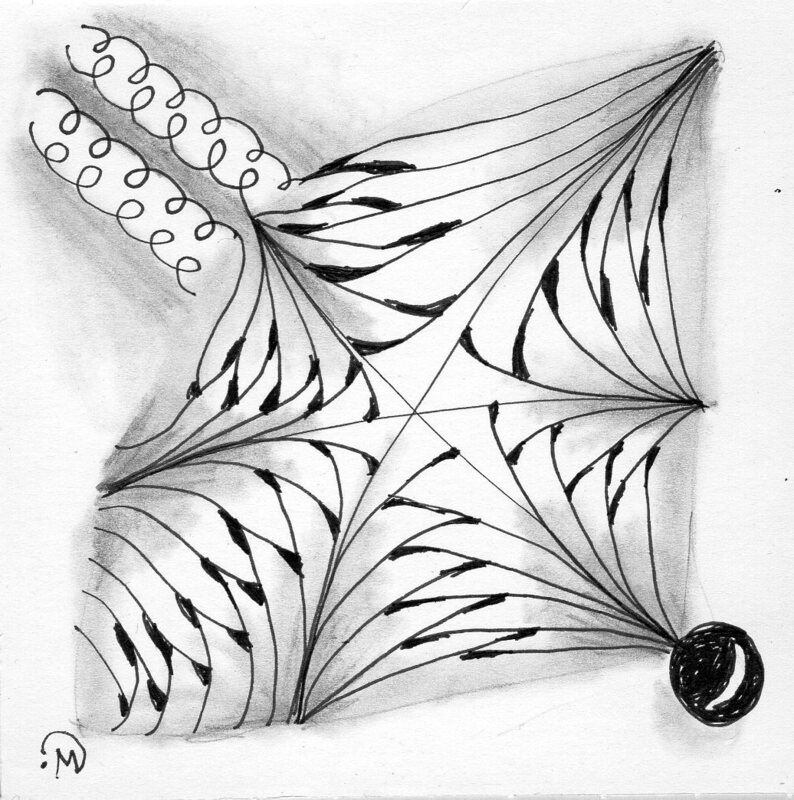 I looked through what tangles I use and found that crescent moon is one of the few ‘C’ strokes I use. I also like Shattuck and thought I’d use it but then forgot after I started the tile and started to draw Meer. So I decided that instead of straight lines in Meer I would use some ‘S’ curves. It isn’t something I’ll do again but it kept the theme of ‘C’ and ‘S’ curves. Last week I checked out the It’s a String Thing challenge and looked at the tangles to be used, one of which was Undu by Daniel Lamothe. I wanted to try this tangle out and thought it would work great for this challenge. I didn’t have anything that I could submit for the series part of the challenge though because like I said, I’m not huge on the ‘c’ and ‘s’ curves that I’ve been able to find. So here is my tile. Well, I’m going to run for now. One of these days I may actually get these posts prepared ahead of time but that day is not today. 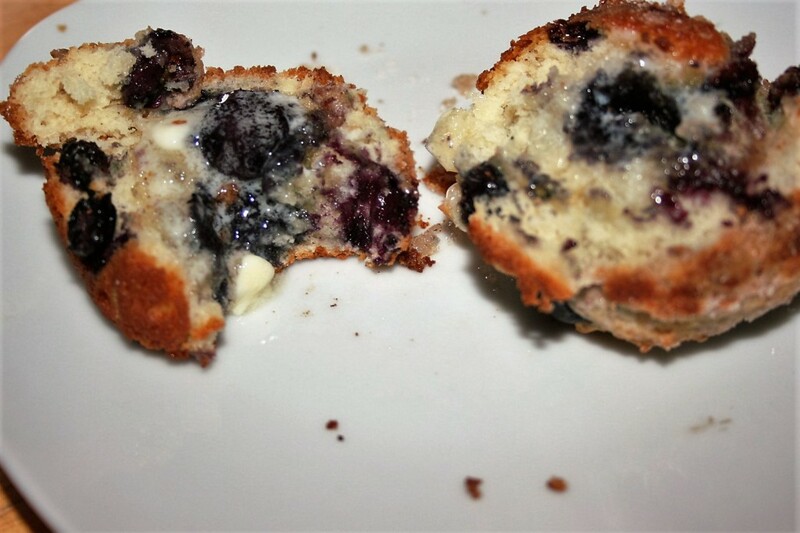 Thankfully, Tiffany decided that she wanted to make these muffins and I, of course, encouraged her to do them right away rather than wait and she complied. 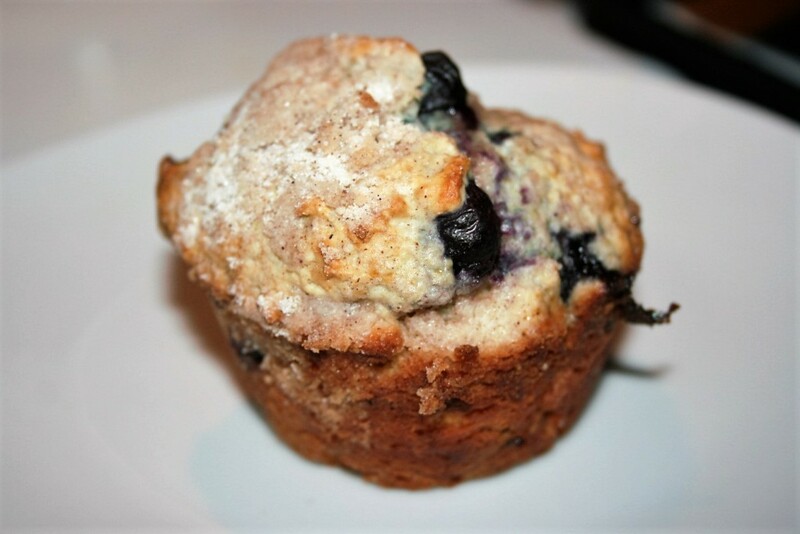 So, I bring you Blueberry Streusel Muffins for your breakfast or dessert pleasure. 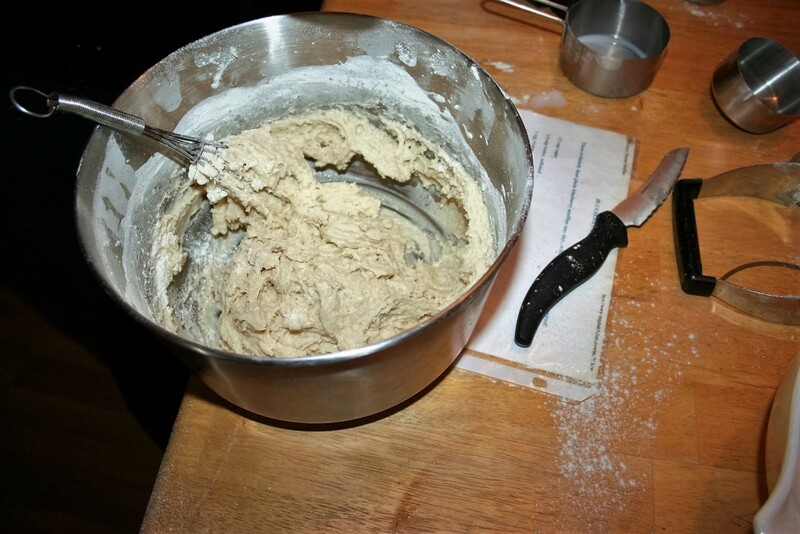 Begin by creaming 1/4 cup butter, softened and 1/2 cup sugar. 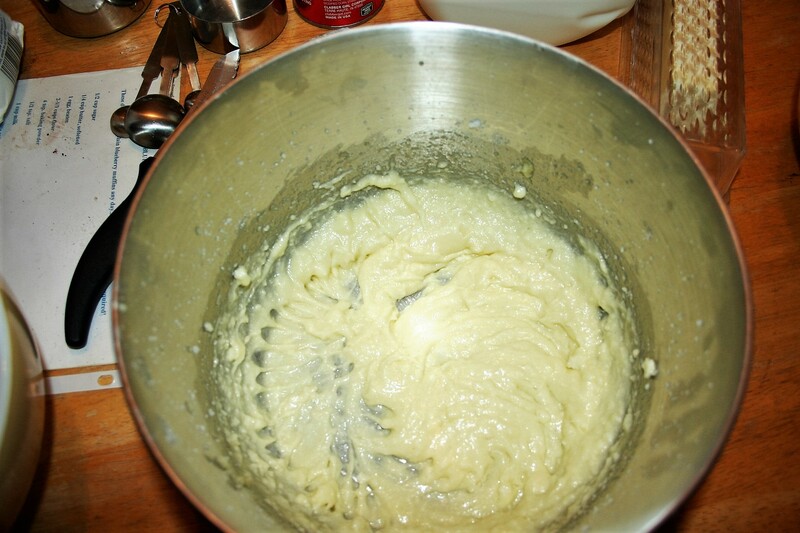 Then add 1 beaten egg and mix well. 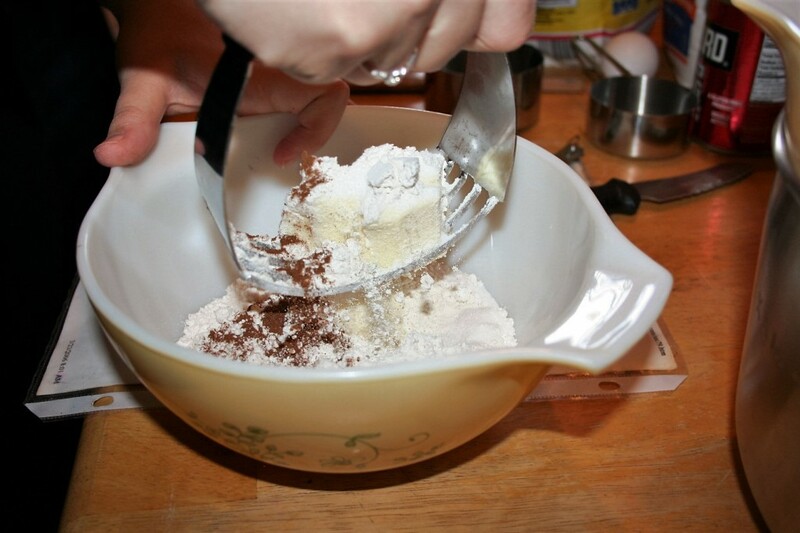 Combine flour, baking powder, and salt in one bowl and add alternately with milk. It is a pretty stiff batter. 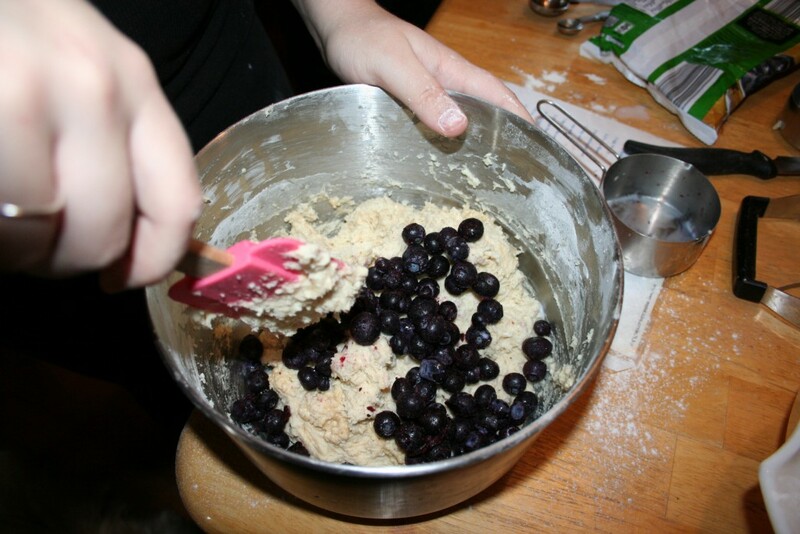 In a small bowl, combine the streusel ingredients. Grease muffin tins or line with muffin papers. Fill each cup 1/2 full with batter, sprinkle with some streusel, more batter, and the last of the streusel. 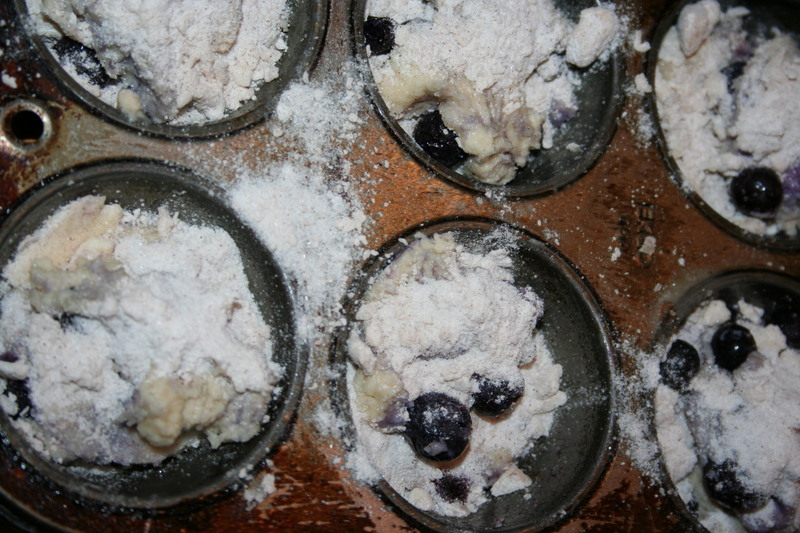 Bake at 375º for 25-45 minutes depending on the size of the muffin tins. This time Tiffany used one six-muffin regular tin and one six-muffin large tin. The small one is done before the large one. 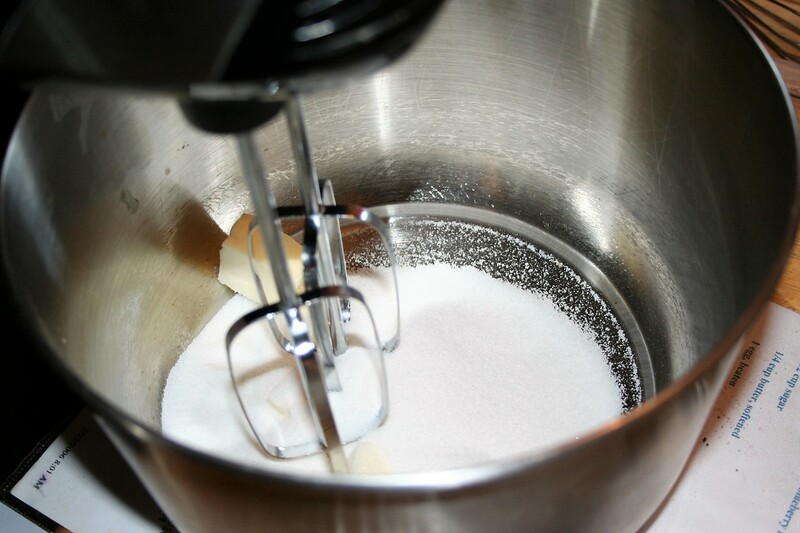 Add dry ingredients to creamed mixture, alternately with milk. Grease muffin tins or fill with liners. 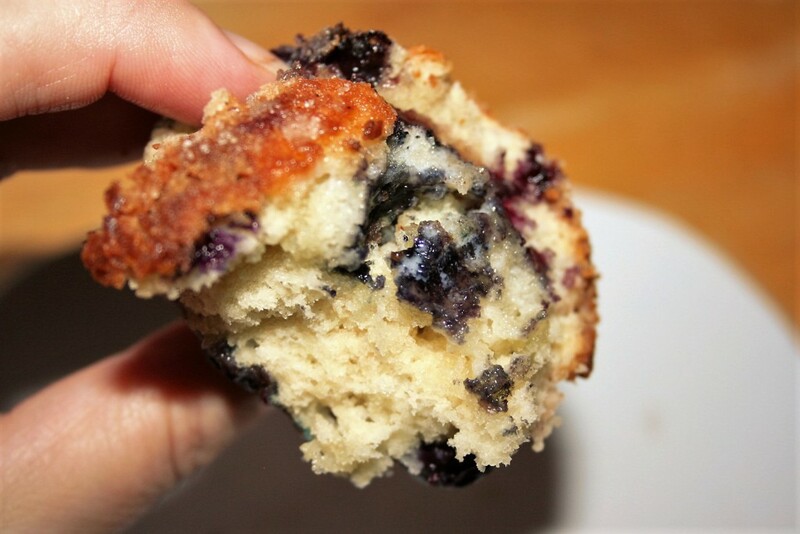 Sprinkle some of the streusel in each muffin tin. 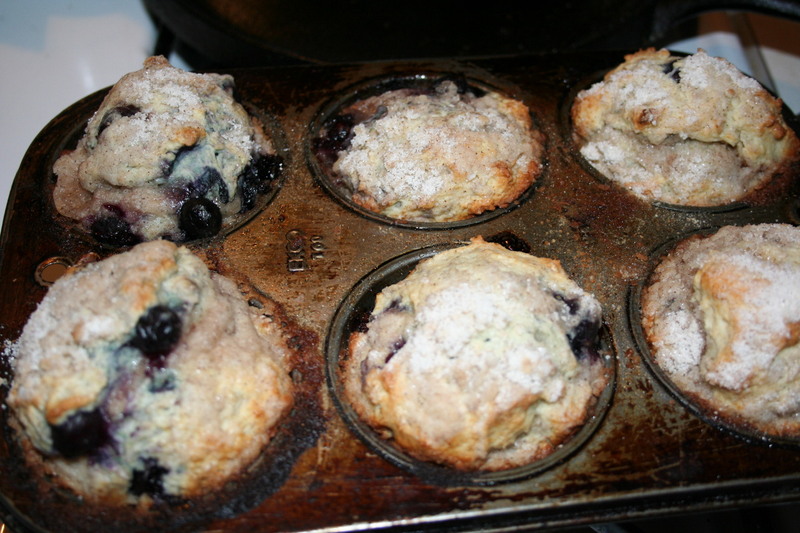 Fill each muffin tin with more batter followed by the last of the streusel. Bake at 375º for 25 minutes or until golden brown.